The following funding guidelines, established through a collaborative effort between the SBA and the Office of Student Engagement (OSE), shall serve as a framework within which the SBA Finance Committee may approve funds to registered student organizations (RSOs). IMPORTANT: Due to a change in policy that took effect as of the 2014-2015 fiscal year, the SBA may only approve up to two RSO internal food meeting funding requests. The Finance Committee will not accept requests to fund food for an internal meeting once a RSO has met its limit. A RSO must submit a completed funding request form and an itemized budget for its event by email to the Finance Director. Each RSO will be assigned a Finance Committee member to serve as a liaison to that respective RSO. All requests should be emailed to the assigned Finance Committee member and the RSO should copy the Finance Director. The completed funding request form and itemized budget must be submitted at least twelve (12) days in advance of the event. If the completed funding request form and itemized budget is not submitted within twelve days of the event, the Finance Committee may choose not to accept the request. The Finance Committee requires that all budgets be complete, itemized, and include all pertinent information relevant to the request including, but not limited to, the event’s purpose, date, location, proposed speaker (if any), food and drink requirements, estimated attendance, and specific price quotes on all requested items. The Finance Committee reserves the right to request that a RSO representative attend a Finance Committee meeting to provide a detailed explanation of the event. The Finance Committee will send an agenda to the RSO representative indicating the appointment time and location. A RSO representative is expected to attend the Finance Committee meeting at the RSO’s assigned appointment time. As requested by the Finance Committee, when an event is co-sponsored, a representative from all co-sponsoring RSOs should attend the Finance Committee meeting. If the Career Services Office, Diversity & Equity Services, Admissions, Alumni Association, or any other administrative office co-sponsors an event with a RSO, a representative from those entities need not attend the Finance Committee meeting. The Finance Committee may refuse to hear a budget request if the RSO representative does not appear before the Finance Committee within ten (10) minutes of the representative’s scheduled appointment time. A RSO may appeal the Finance Committee’s fuding decision by sending a detailed email within 48 hours of receipt of the Finance Committee’s funding decision. The email must specify the reasons for the appeal and why the funding guidelines should be interpreted differently. All appeals should be submitted to the Finance Director. An appeal for an amount equal to or less than $1,500 will be subject to an Executive Board vote. An appeal for an amount in excess of $1,500 will be subject to a General Board vote. The vote will be conducted at the next scheduled Executive Board or General Board meeting. A RSO representative may choose to speak before the respective Board at the scheduled meeting. All appeals must be based on the original budget. Any deviation from the original request requires the RSO to resubmit a funding request to the Finance Committee. If no appeals are filed, RSOs will receive a final decision within 48 hours following the next scheduled Finance Committee meeting. The Finance Committee will post its financial ledger on the SBA website, detailing the funding allocations made during the respective fiscal period. All SBA-funded events must be open to all students, regardless of whether they are members of the requesting RSO. The Finance Committee will not consider a funding request unless the conference, convention, event, or seminar is available to all students. The SBA will not entertain exceptions to this standard. The SBA will not fund for discretionary funds, non-specific miscellaneous expenses, emergency or petty cash, or non-specific maintenance requests. The SBA will not fund retroactively nor will the Finance Committee fund events that take place before the Finance Committee can reasonably make a funding decision. The SBA requires that RSOs sped or earmark any SBA-allocated funds in its account before requesting additional funding from the SBA. The SBA may request that the RSO reallocate any remaining balance as necessary. The SBA will not fund events that take place in private residences. The SBA will not fund clothing. The SBA will not fund donations to outside organizations. The SBA will consider the thoroughness of a RSO’s funding request when reviewing a budget. The more detailed the request, the better. The SBA will generally not fund events that have been previously funded by the initial disbursement. However, the Finance Committee may consider additional funding if new items are required for an event that the RSO was unable to predict at the time of the initial request. The SBA highly recommends co-sponsorship, fundraising, corporate support, or other forms of subsidies. In addition, the SBA encouraged multiple RSOs to organize an event, whereby each RSO involved will contribute to the overall cost of the event. The SBA will generally consider funding a room rental charge provided the RSO could not reserve an appropriate venue free of charge. The SBA will generally consider food and drink for all events if it is not the sole draw of the event and/or if it relates to, enhances, or reflects the specific format and/or theme of the event. The SBA will consider funding for all other supplies. * Subject to the policy regarding food requests. The SBA will consider reasonable costs associated with bringing a speaker to campus. The SBA will generally not fund accommodations, meals, or transportation for speakers who live in the Greater Lansing area. The SBA will consider funding a speaker’s set fee. The SBA will consider funding an accurate, current estimate of the speaker’s airfare. The SBA will consider funding a speaker’s hotel accommodations. 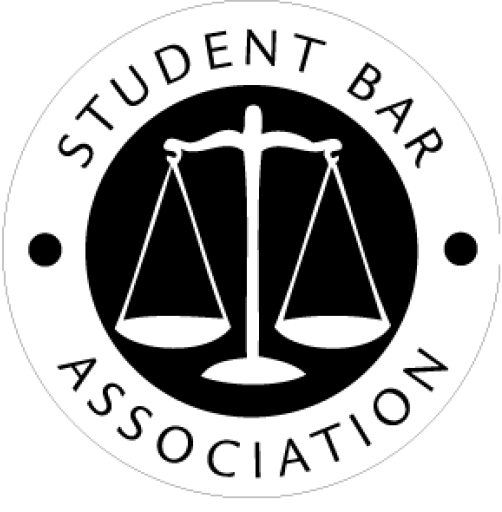 The SBA will generally consider funding fees to MSU College of Law alumni. However, the SBA encourages RSOs to request MSU College of Law alumni to provide programming at MSU College of Law without charge. The SBA will consider funding speaker transportation fees. The RSO must submit a printed and itemized quote for all transportation expenses including, but not limited to, airline tickets. To download a copy of the Funding Guidelines and the Funding Request form, please click here. Please direct any questions you might have to Katelynn Watkins, Finance Director.